Everyone knows about the awesome attractions, shows and parades at Walt Disney World® Resort, but did you know there are tons of fun things to do outside the Theme Parks, too? Magical carriage rides, relaxing spa time, exciting sporting events and unique shopping and dining experiences are just a few of the possibilities. Expand your vacation with these fun things to do—no Park ticket required! Think only the royals can enjoy a horse-drawn carriage? Think again! 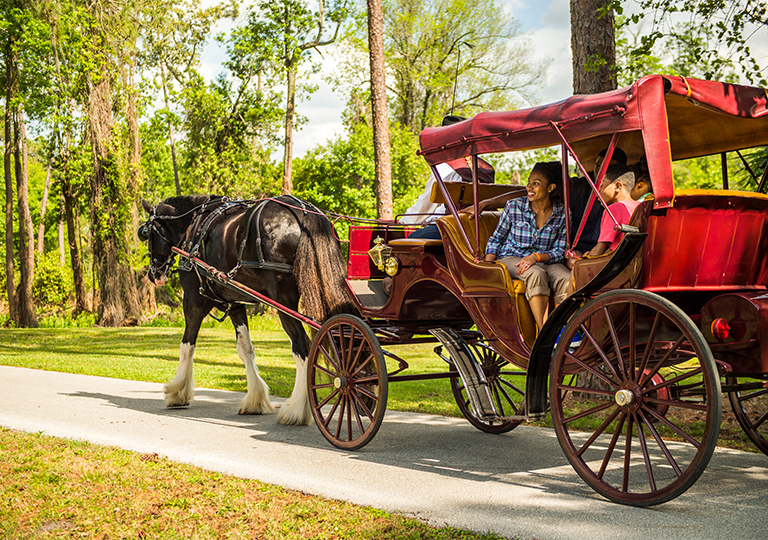 Magical carriage rides will take you through lush forests at Disney’s Port Orleans – Riverside and Disney’s Fort Wilderness Resort. Or perhaps you prefer to do the riding? Hop on a horse and take a leisurely trail ride around Disney’s Fort Wilderness Resort, exploring nature and spotting adorable woodland creatures along the way. Perfect for guests 9 years old and older, and for beginner and intermediate riders. Whether you’re a serious golfer or a family who loves putt-putt, you’ll find the perfect course at Walt Disney World® Resort. Seasoned athletes may want to take on the challenging Magnolia Golf Course, featuring majestic trees and—beware!—97 bunkers. 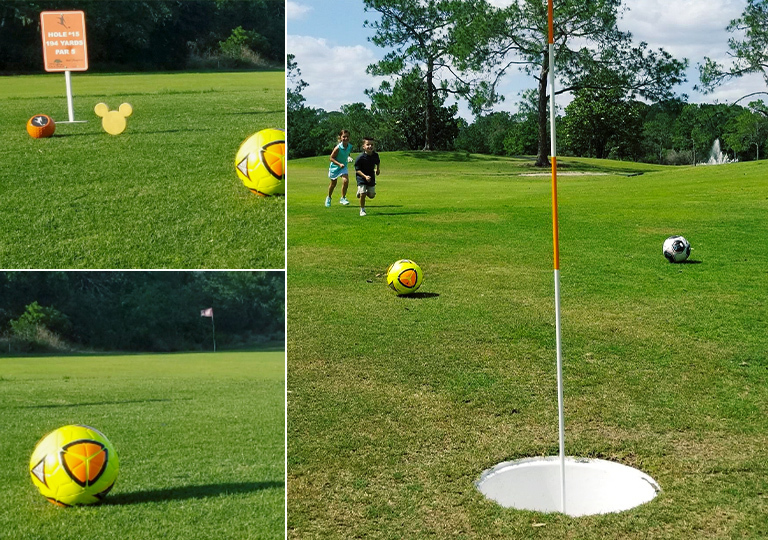 The 9-hole walking Oak Trail Golf Course offers traditional golf for casual players and also something brand new the whole family will enjoy: FootGolf, a combination of soccer and golf! Instead of golf clubs, you use your feet to kick a soccer ball into 21-inch cups in as few shots as possible. At Fantasia Gardens and Fairways Miniature Golf, families can putt their way through a fun course lined with tutu-clad hippos and test their skills with sand traps and water hazards. And if you can’t decide if you want snow or sunshine, Winter Summerland Miniature Golf at Disney’s Blizzard Beach Water Park offers both—two 18-hole courses designed by Santa and his elves. Ho-ho-hole in one! 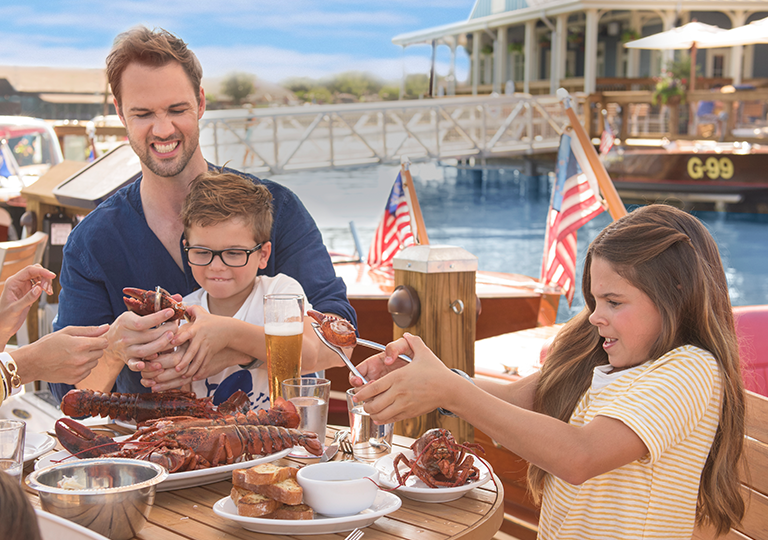 After you work up an appetite shopping, grab a bite to eat at one of Disney Springs many dining options offering a choice of cuisines, like Wolfgang Puck Bar & Grill, Rainforest Café, The Boathouse, Yesake, or The Edison. With your hunger satisfied, you’ll be ready to play: go bowling, take a ride in a tethered air balloon, or tour Lake Buena Vista in a vintage Amphicar—these are just a few of the activities awaiting you at Disney Springs. Cardmember Tip: With so much fun to be had at Disney Springs, you’ll want to shop, dine and play with your Disney Rewards Dollars at the ready. Plus, get to know the complete list of Walt Disney World® Resort Cardmember Perks for all locations that offer a Cardmember discount. Ready to recharge? 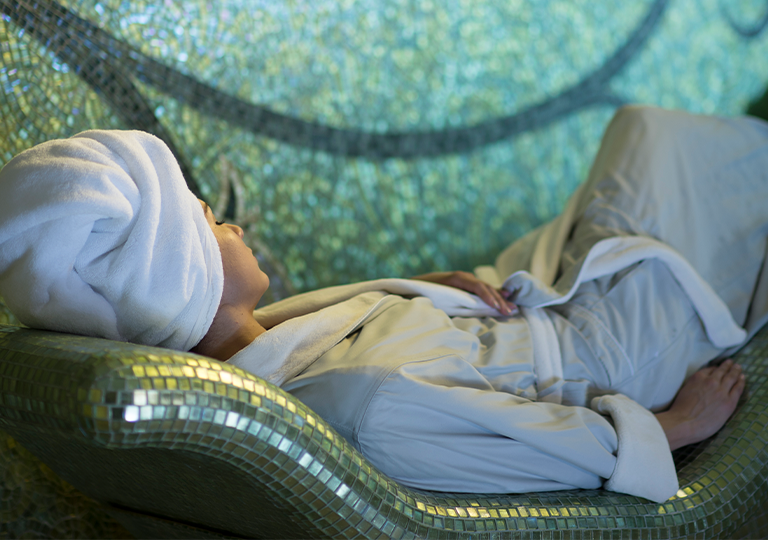 Visit Senses – A Disney Spa at Disney’s Grand Floridian Resort & Spa for a variety of relaxing treatments such as facials, immersive body wraps and a customized massage or massage for two for you and that special someone. At La Vida Health Club and Salon located at Disney’s Coronado Springs Resort, pamper yourself while your little one gets treated to a Magical Makeover inspired by their favorite Disney Princess! 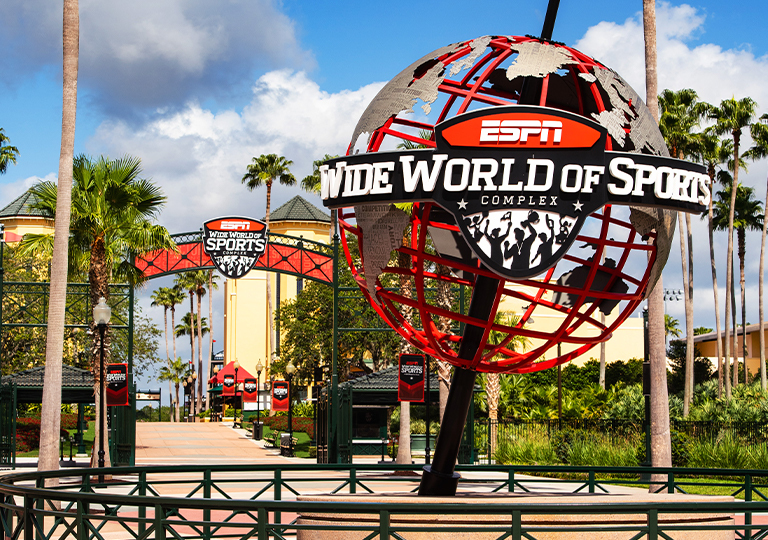 Sports enthusiasts will not want to miss ESPN Wide World of Sports Complex, a state-of-the-art facility hosting more than 60 sports and thousands of events for athletes from 100 countries every year. You can play or watch: compete at the highest level with Disney Soccer, cheer at the Pop Warner Super Bowl, participate in the runDisney Health & Fitness Expo and Kids Races or catch the final season of the Atlanta Braves Spring Training—these are just a few of the events you’ll find at the Complex. You’re invited to the Campsites at Disney’s Fort Wilderness Resort for a night under the stars, gathering around a campfire to croon cowboy tunes and nosh on gooey s’mores. 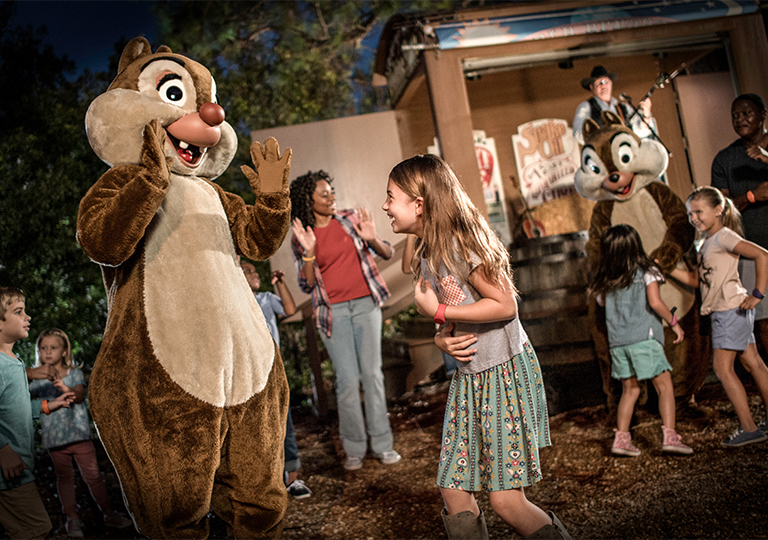 And keep an eye out for wild life—Chip ‘n’ Dale will stop by for autographs, photos and fun! After the sing-a-long, stay to watch a classic Disney movie in an outdoor theater. Cardmember Tip: Get in the mood for your outdoor sing-a-long with a s’mores kit from The Chuck Wagon food truck or a coonskin cap and cozy sweatshirt you can pick up at the Wilderness Lodge Mercantile. Remember to redeem Disney Rewards Dollars toward your purchases. A world of wonder awaits beyond the Theme Parks! As a Cardmember, you’ll receive discounts on select recreational, shopping and dining experiences. Be sure to check out all of the perks available to you at Walt Disney World® Resort. 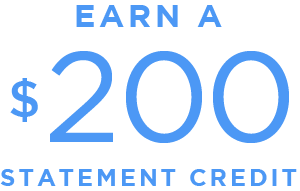 You've earned your Disney Rewards Dollars, now it's time to redeem them! Here are some suggestions to get you started. Taking a family vacation? Everyone from Gramps to Junior will want to hear these four fun Cardmember stories.